A fun way to dress up the table is to make marshmallow pop bouquets. Marshmallow pops are so easy to make. See below for colored coconut. Just put on a stick and dip into chocolate and then top coconut and sprinkles. Make sure you have some beans or sand in a jar to place the pops in while the chocolate is hardening. Our Easter is very traditional. It’s always baked ham and the traditional side dishes. 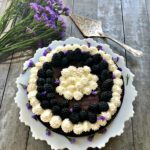 You might think that to be boring for a food blogger, but good food doesn’t have to be reinvented. 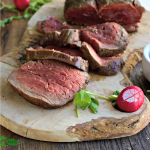 It just needs to taste good and shine in its own right. 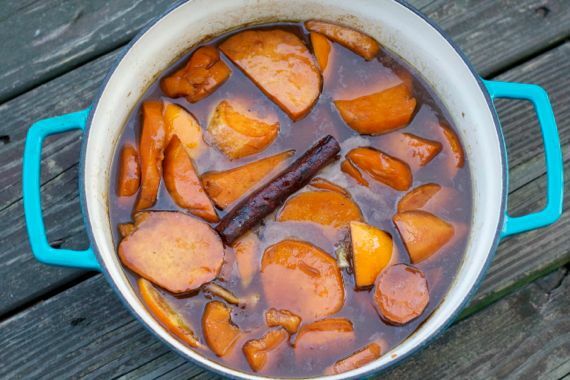 The sweet potatoes are candied on top of the stove and they are the best you will ever eat. No marshmallows, no mashing. 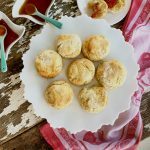 Just all perfectly balanced sweetness of brown sugar, cinnamon, and lots of butter and a lot of love. 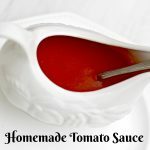 They are a true dream, and the most requested church pot luck dish Retro Rose makes! We make baked corn for Thanksgiving and Easter. It’s tradition. This is custardy, creamy and sweet. It is not runny like creamed corn. 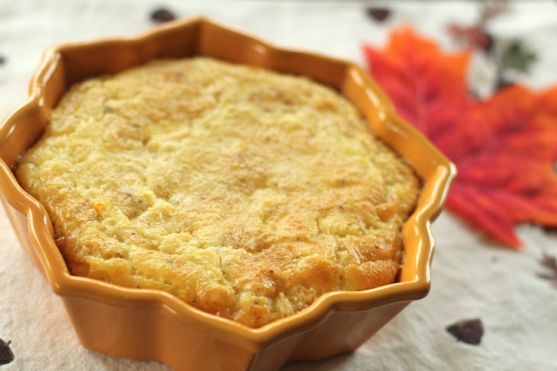 It’s more like comfort food souffle. If you’ve never visited here before, you may know that these biscuits are legendary. 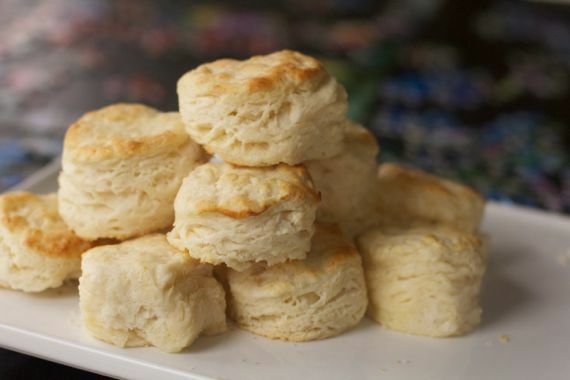 Not to brag, but they are better than the biscuit places around Nashville that makes thousands. a week. They have the right fluff and crunch. 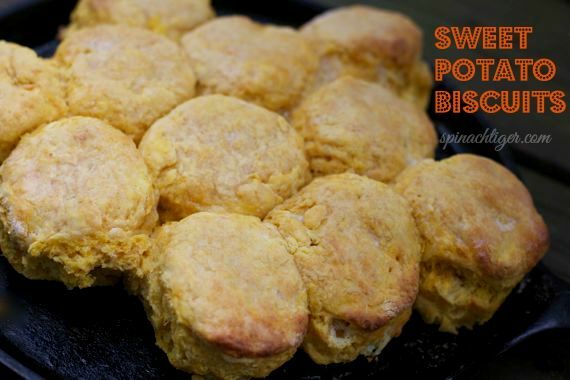 If you want to be daring, make the sweet potato biscuits, which use some of the above candied sweet potatoes. 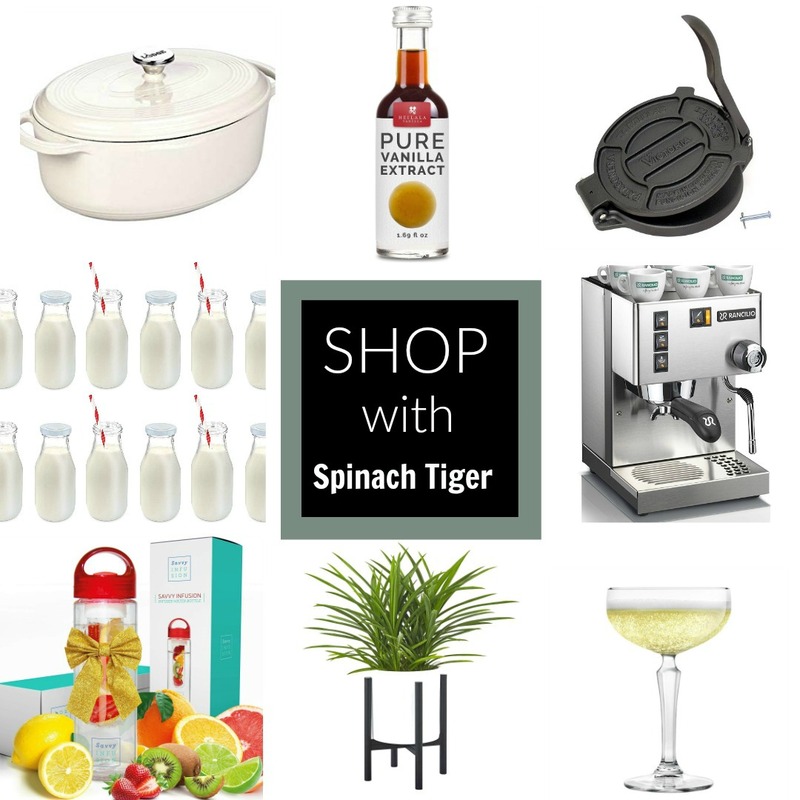 Every meal needs something green. 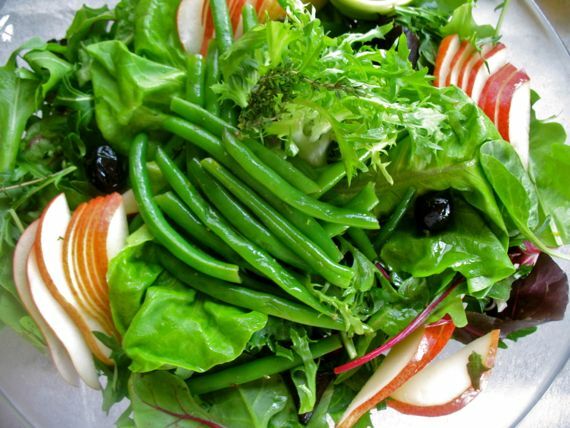 Ham is fatty and salty, so a salad with a vinaigrette cuts through the fat and is a must. This is one that is a little unique, as I’ve added in a pear to help counter the salt. Easter is not complete without coconut cake of which I have three recipes. This looks the prettiest. You might like the coconut cake with the lemon curd in the middle. 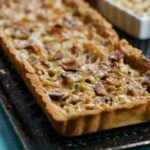 If you don’t want to bother with a cake, these mini coconut cherry cookie tarts are amazing and easy. Easter often calls for pastels. Color the coconut. These coconut cupcakes won second place in a cupcake contest that earned me a picture with a mayor of Nashville. Isn’t that crazy? 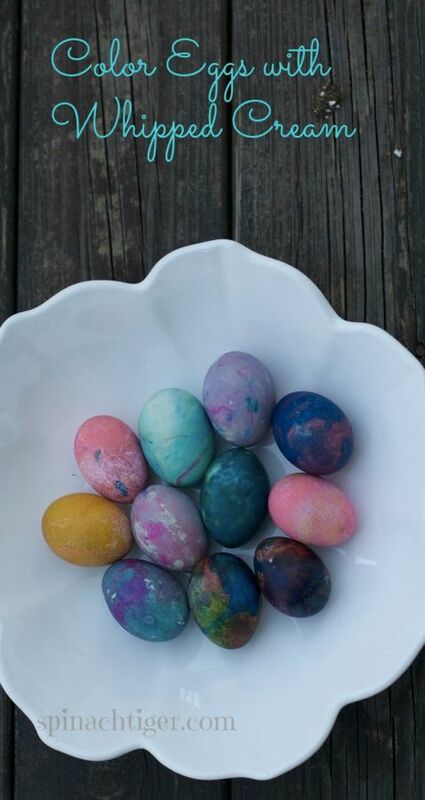 You have to have colored eggs. This is my favorite way to make them. Use cool whip or shaving cream. 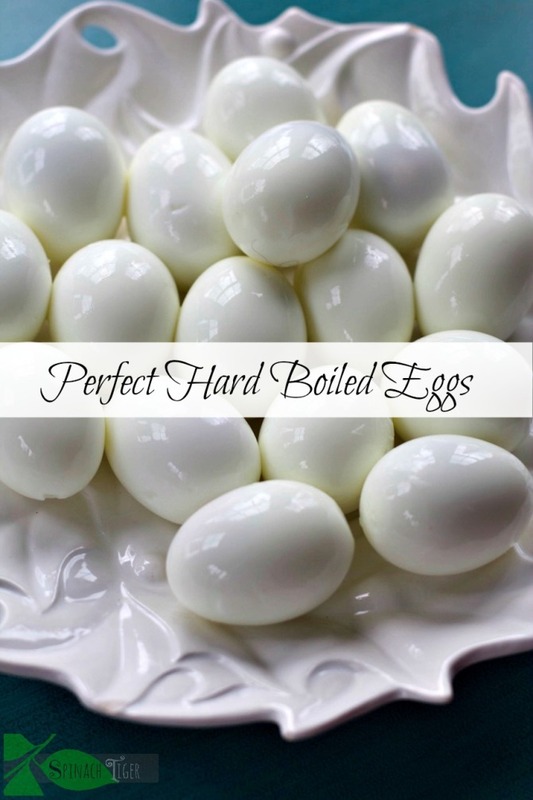 First you have to make the most perfect hard boiled eggs and I have that method for you. 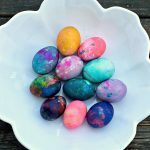 What to do with all those eggs? 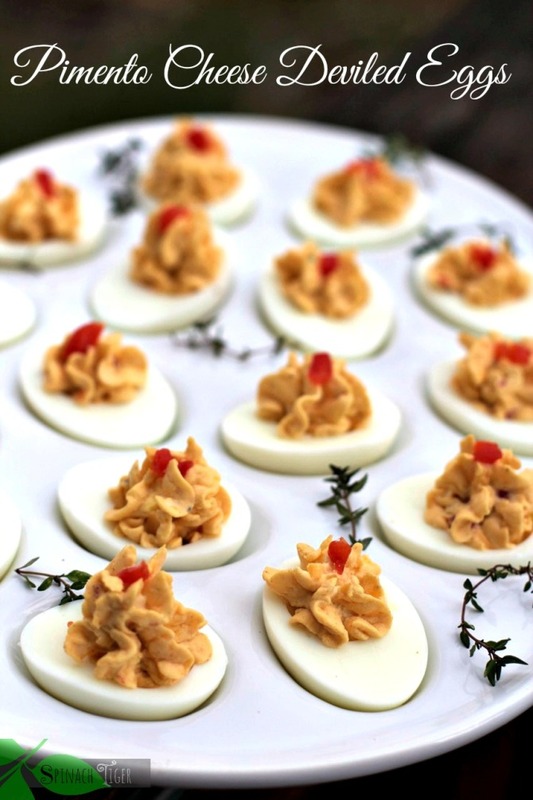 Pimento Cheese Deviled Eggs is one way to go. This is our Easter plan. What are you having? 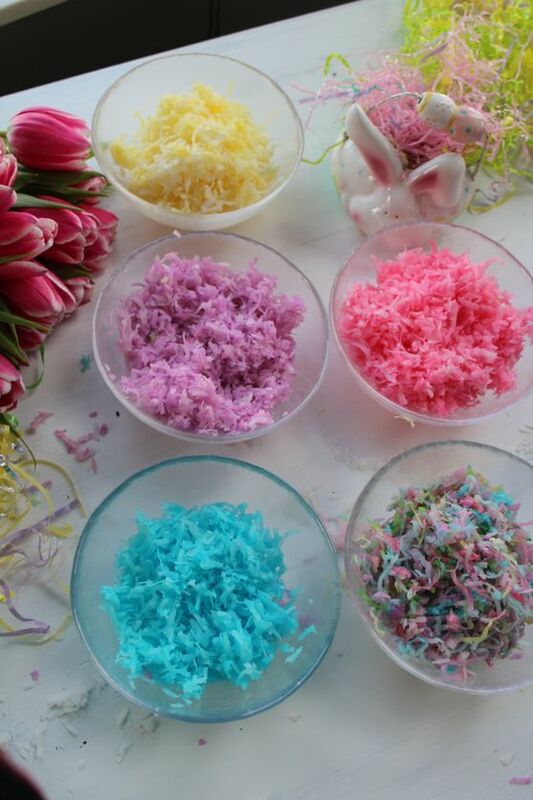 We will be decorating with marshmallow pop bouquets and finishing off with Easter Eggs. 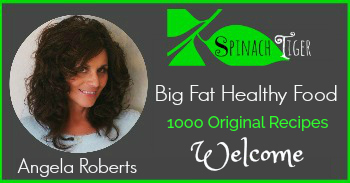 Please connect with me on Instagram. I’d love to see you there. 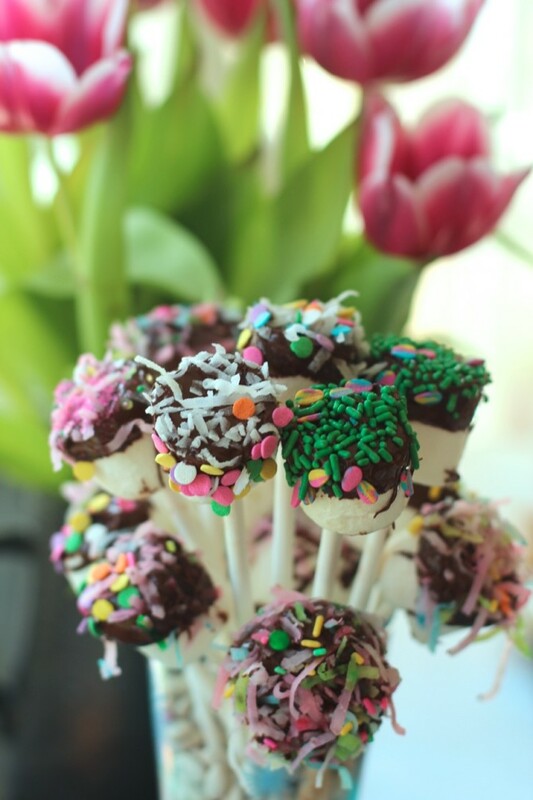 Marshmallows on a stick and decorated with sprinkles, coconut and chocolate. Put marshmallow on sticks. I've used lollypop sticks and even used plastic coffee stirrers. 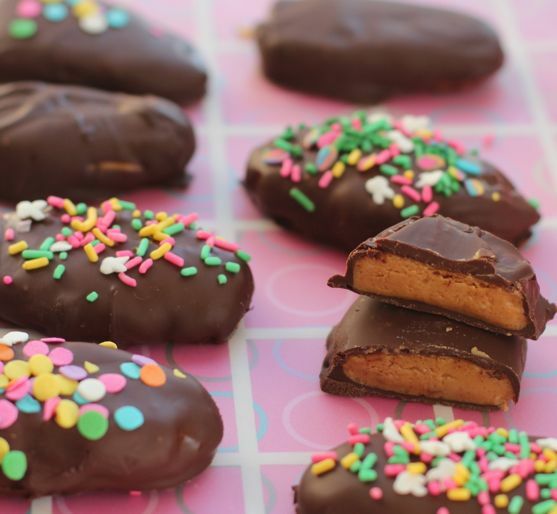 Melt chocolate in microwave or on top of stove in double boiler. Prepare a jar with sugar or beans where sticks will fit in after dipped. 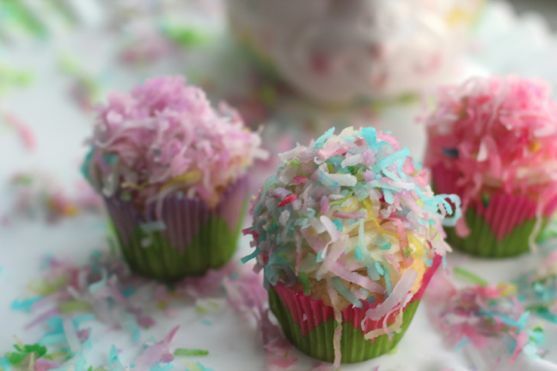 Dip in chocolate, coconut and sprinkles. Thanks. I see you live in Nashville too. thanks for stopping by. Oh my gosh! 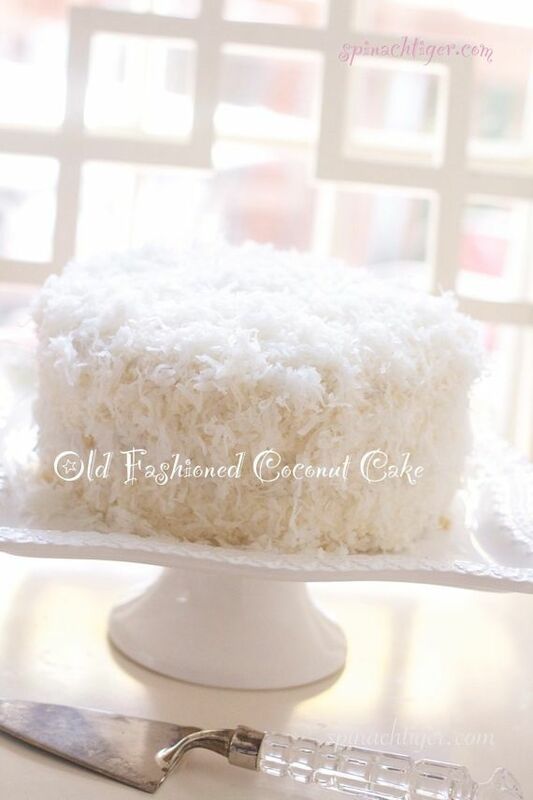 Coconut cake! YES, please! 🙂 But seriously, those colorful coconut cupcakes are amazing.